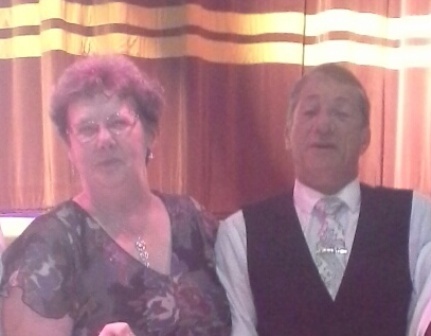 Peter & Yvette Harris Both started dancing in 1996, after Yvette’s mother and father introduced them to sequence dancing on a holiday to Scarborough. They started going to sequence dancing on an evening and learnt a mixture of old and new sequence dances. They then attended Anne Thompson’s dance academy where in 1998, Yvette Qualified in Classical Sequence with N.C.D.T.A. They ran a number of dances and dance holidays and in 2011 Peter Qualified for his A.U.K.A.P.D.T. Sequence Dance qualification. They decided to enter inventive dance competitions and won there first new dance competition with the Moonbeam Mambo in 2014. This entry was posted in Competitors on January 21, 2015 by msdworld.